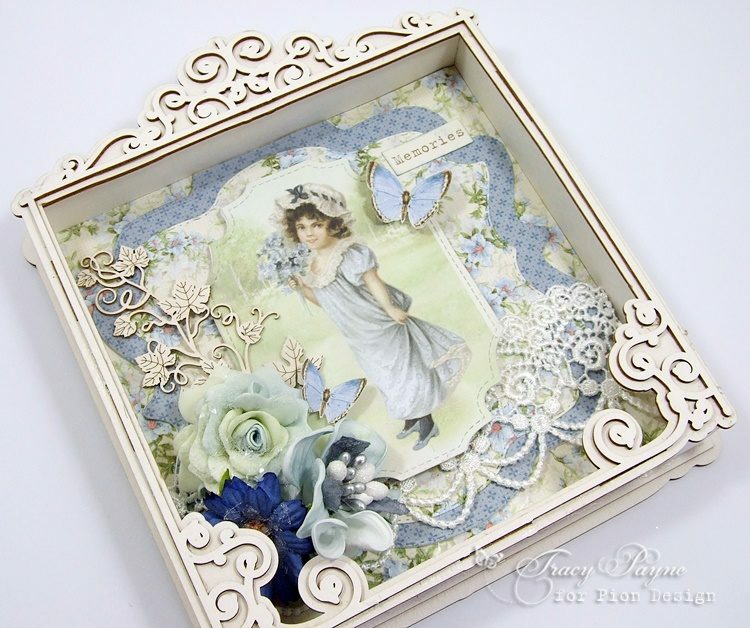 Tracy here sharing a Lasercut Shadow box made with the Patchwork of Life Paper collection. The image was cut diecut from the Patchwork of Life Images from the Past sheet, isn’t she just so beautiful. 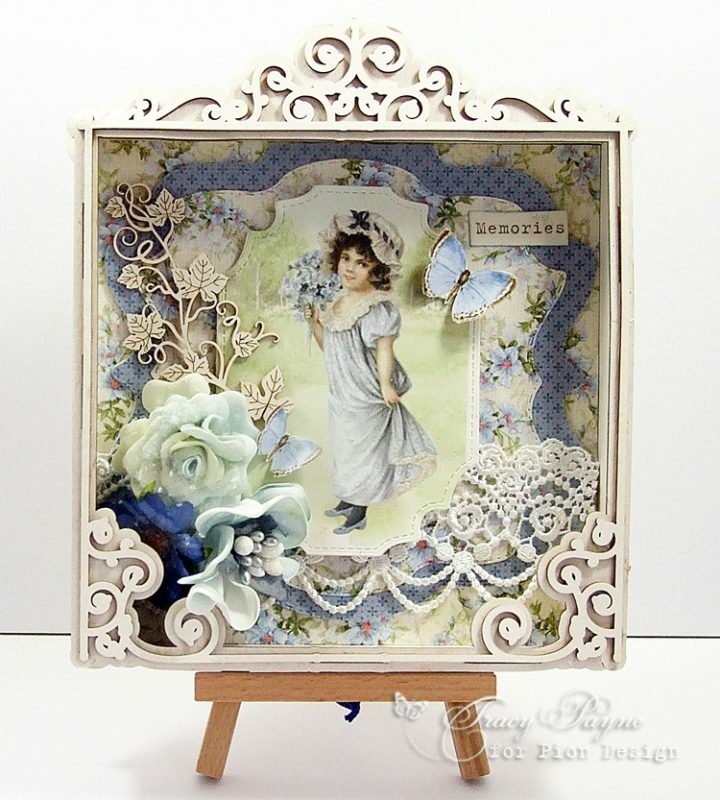 The Butterflies were cut from the Border sheet along with the “Memories” sentiment”.